It’s time to ‪#‎MeetWilden‬! 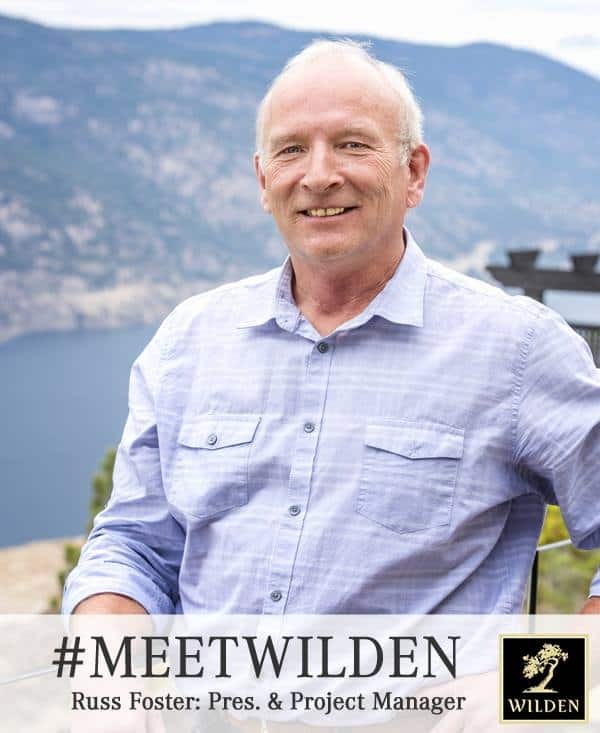 Meet Wilden President and Project Manager, Russ Foster! I’ve been involved with Wilden from almost the beginning. It’s been over 15 years now going back to the time the overall master plan was being developed….sure doesn’t seem that long ago but we’ve certainly come a long way since then. As Wilden Project Manager, I get to be involved in some way with all aspect of the project. It’s been an incredibly rewarding experience so far and I look forward to what the future brings. 2. What are some of your favourite things about working for Wilden? Working with a great team in taking Wilden from just a concept to a great community that more and more folks call home. I have a black belt in sandwich making. Spending time on the lake with friends and family, playing in the snow on the local mountains and a little golf now and then. Large kitchen for everyone to congregate and lots of outdoor space to enjoy the great weather. I have eyes in the back of my head……at least that’s what I told my kid’s when they were little. The huge variety of things you can do all year round……there’s just something for everyone. There are plenty of great local products but I’d have to say my favorite are some of the craft beers. Probably the Kelowna General Hospital Foundation. That’s a tough one…..it would need to be near water so maybe somewhere on Vancouver Island.